I designed the program for Left Forum 2017. Left Forum is the largest left gathering in North America that brings together intellectuals and activists from the US and abroad. The program had more than 150 panels and more than 400 panelists, with 5000 copies printed to be distributed. 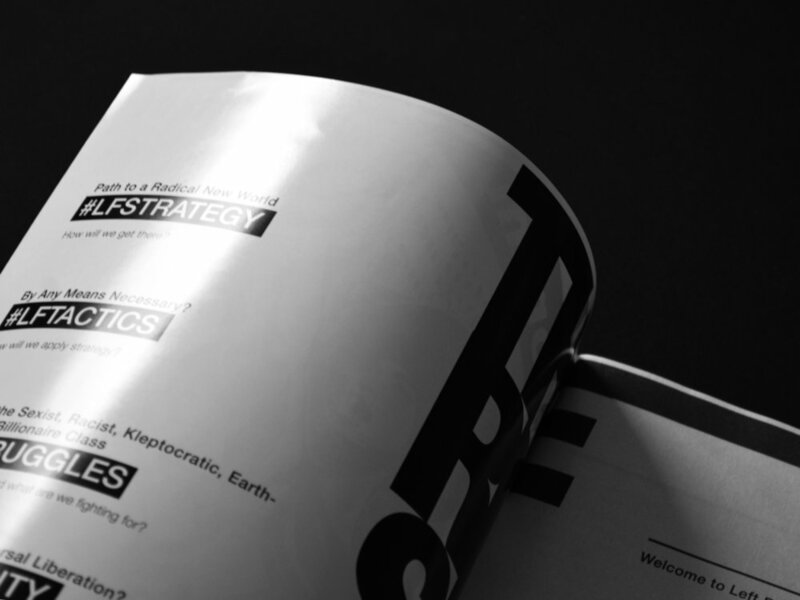 The Left Forum 2017 Program is a 96-page guide book giving first-hand, clear and direct information, made for attendees. 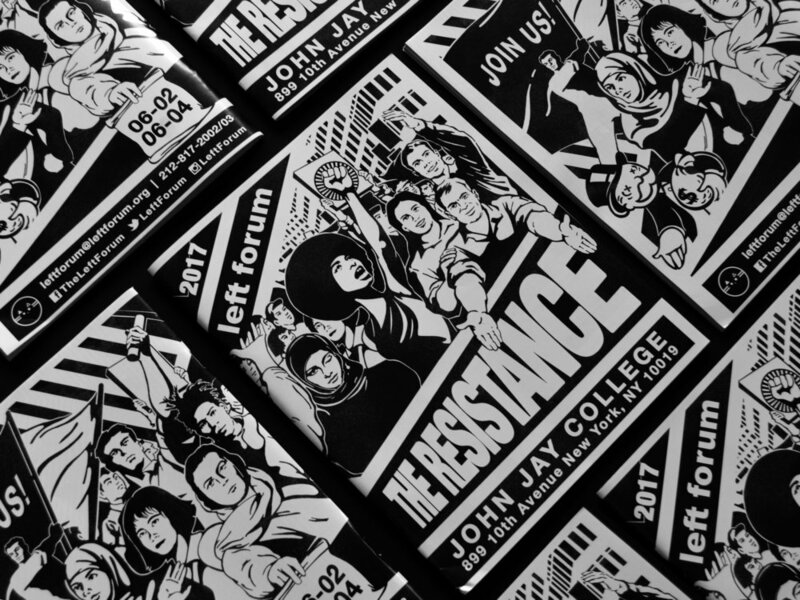 It features corporate sponsor posters, an information and guide booklet, and location maps.The organizing topic for 2017 was "The Resistance." With that in mind, I designed a simple and clear structure for the panel organizations. Left Forum’s directors encouraged me to illustrate an image for the program cover, poster, and social media collateral. To illustrate “The Resistance”, I created an image that recreates a protest with important modern revolutionary characters. Opting for illustration allowed us to step aside from more typical protest imaginary, and offer a fresh, inclusive, and poetic look on The Resistance. Supervised by Ashley Abbott, co-director & Marcus Graetsch, co-director. Supported by The Graduate Center, CUNY.